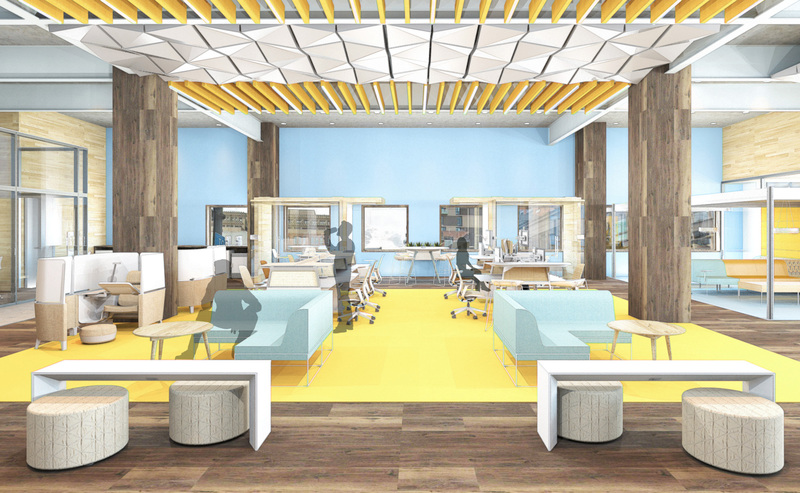 AMES, Iowa — Projects by two Iowa State University interior design seniors have placed in the top 10 of the 6th Annual Steelcase NEXT Student Design Competition. “NEXT Global Commercial Real Estate” by Caylee Balcerzak, New Berlin, Wisconsin, and “NEXT Office Space” by Erendira Gonzalez, Los Angeles, California, were among five honorable mentions awarded out of 900 entries from 70 university programs nationwide. Five semifinalists also were selected, with the overall winner to be announced Feb. 15. Balcerzak and Gonzalez developed their projects in the fall 2018 interior design senior studio sections taught by lecturer Michael Ford (Balcerzak) and assistant professor Daejin Kim (Gonzalez). 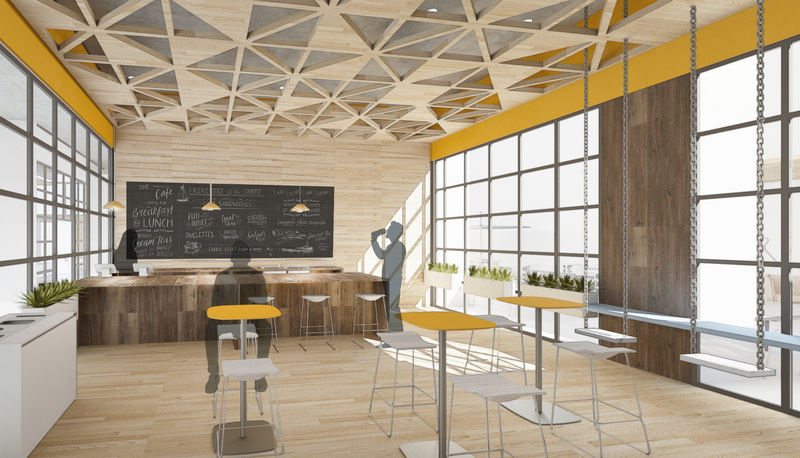 The competition challenged entrants to design a 15,000-square-foot workplace environment in Denver, Colorado, that would fuel innovation by encouraging continuous learning, promoting collaboration and wellbeing, and allowing employees to be more agile and adapt rapidly to new opportunities. Students were encouraged to incorporate the most current technology, lighting, furniture and space solutions Steelcase has to offer in their designs. Balcerzak used the concept of recess and what our motivations were as children to design an office space that promotes movement, choice and wellbeing. During her internship with Eppstein Uhen Architects last summer, Balcerzak learned about the WELL Building Standard, the premier standard for those seeking to implement, validate and measure features that support and advance human health and wellness. She included many of the standard’s elements related to physical, cognitive and psychological needs in her workplace design proposal. She provided several different seating options for social interactions and for focused, individualized work as well as adjustable workstations with opportunities for sitting, standing and walking. Ample natural daylight, water fountains with bottle-filling stations and a community café with healthy local food choices were additional amenities. Gonzalez wanted to provide an environment that encouraged creativity, innovation and community. 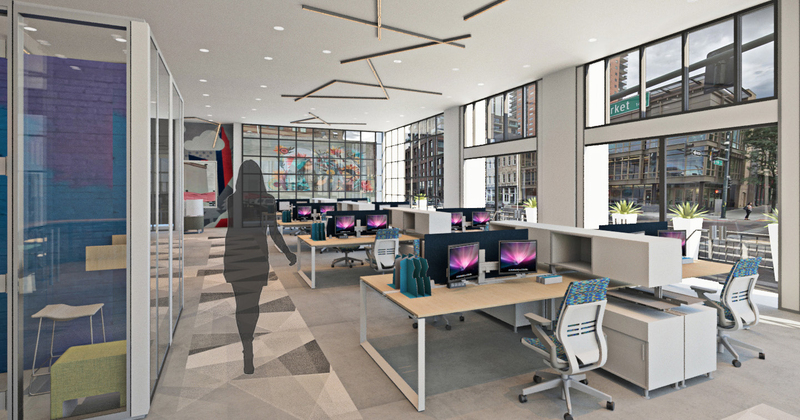 She proposed an open space where employees could easily collaborate, and incorporated Denver street art into every meeting room and common area “to help team members feel that they were in a comfortable space [where they could] interact with others and share their thoughts,” she said. For their honorable mention recognition, Balcerzak and Gonzalez will receive custom-ordered Think chairs from Steelcase and will be featured in the company’s marketing materials. Both students will graduate with Bachelor of Fine Arts degrees in interior design from Iowa State in May. Balcercak plans to enter the office or retail design industry. Gonzalez hopes to do set design for music videos and movies.